This bundle of Underworld's latest album Barbara Barbara, we face a shining future. Individual items value £50, Save £15. 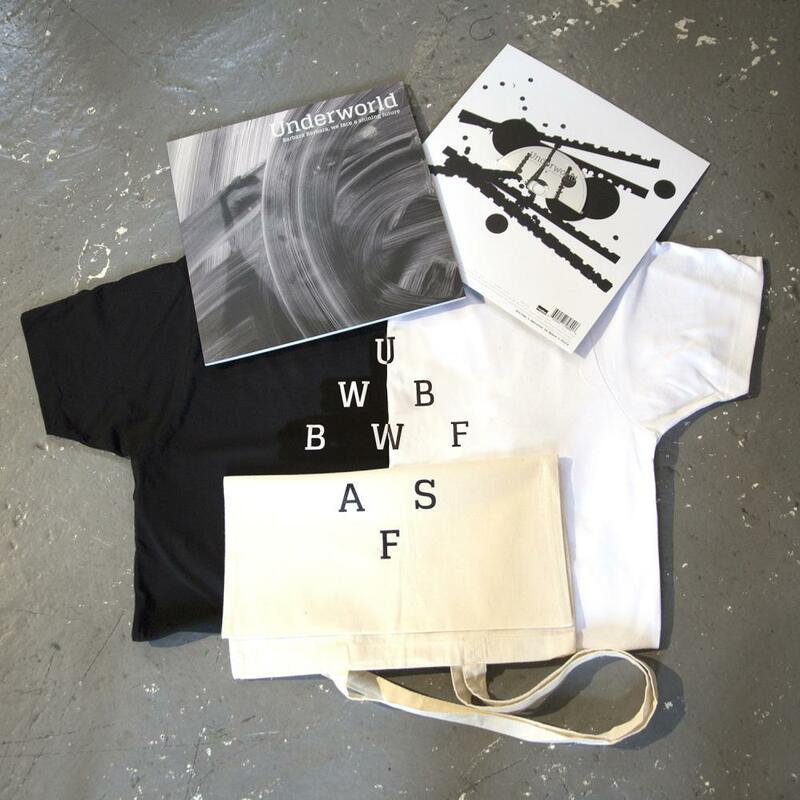 It includes a 12x12” 60 page soft cover book of original artwork created by tomato that includes the album on CD, diamond t-shirt in white and a tote bag. The t-shirt is Custom made in Turkey from 100% organic cotton, climate blue and made by Continental Clothing a members of the Fair Wear Foundation. Hand printed in the UK, 160gsqm slim fit. Machine washable. No sewn in label for extra comfort. Twin needle stitching. Tape bound neck & shoulders. Unique buttonhole at rear of shoulder for headphone or headset cable.